Make your garden a extension of your home and even better make your garden your personality! What do you want your garden to look like? Do you want a low maintenance planting scheme with color and weed free borders that can be landscape fleeced and barked or a foliage, palms and bamboo paradise. Garden Needs can provide planting advise and ideas for creating that perfect landscape and garden for you to relax and unwind in. 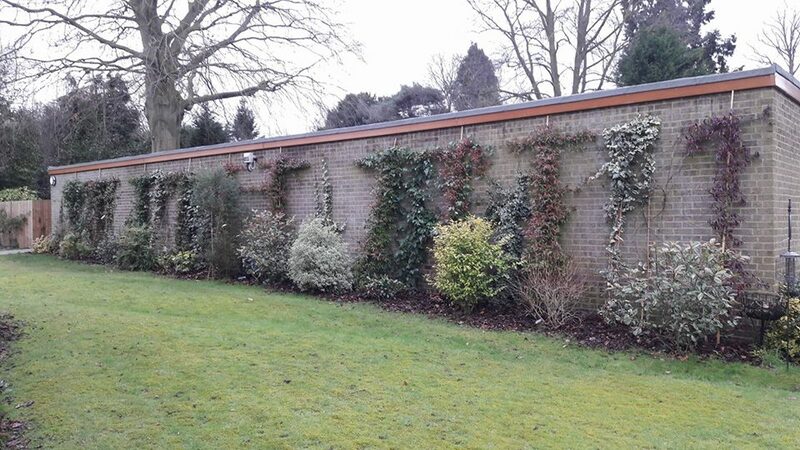 The picture shows a planting scheme,:, before was a very old overgrown woody conifer bush was present overtaking the space, the client wanted climbers to cover the wall and shrubs for all year round color and foliage.. The climbers attract lots of nature and birds., in summer the scent of the Jasmin is amazing.